This anti-mite memory foam topper protects the mattress and makes it softer and more comfortable. With elastic bands, it is available for all bed models. 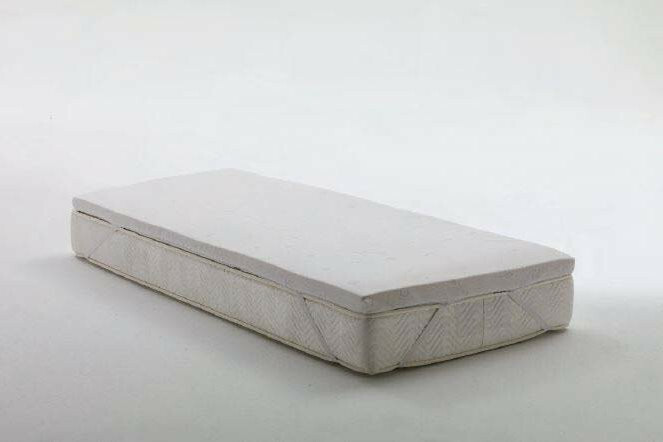 This anti-mite memory foam topper is a protective cover that can be fastened on the mattress thanks to the elastic bands at its sides. Memory foam viscoelastic and hypoallergenic properties combines with the anti-mite ones of the removable and washable fabric cover. This topper also protects the sleeping surface against dirt, stains and dust, making it softer, more comfortable and salutary.